The story behind our barn quilt –while visiting my cousin and her husband we attended an Amish auction which raises money for their Amish schools. I fell in love with a Star Quilt that had Maryland State colors, bid on it and won it. Later that evening I made a comment to Mike that this would make a great barn quilt block. On our next trip up Mike had it made for us. 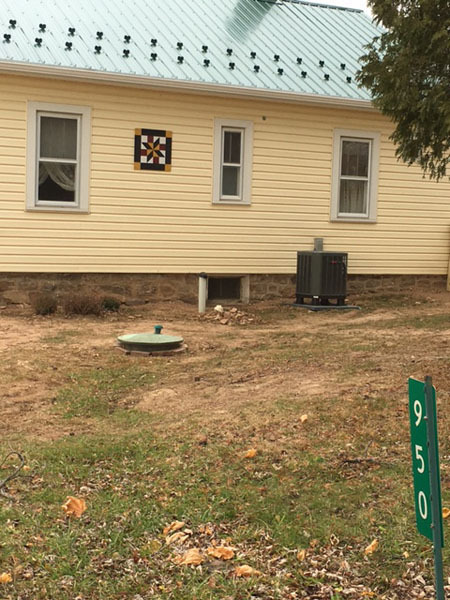 Up until August 2016 our Quilt Block was beside our front door in Maryland. This whole summer we have been waiting to become homeowners in Fulton County, and in September 2016 it happened. Our Maryland Star Quilt Block will be proudly displayed on Battle Ridge Road. My husband and I fell in love with Fulton County a few years ago, loved the Quilt Trail from the beginning, and couldn’t wait to buy a house. Plus we’ll be 5 minutes from Mike and Linda, my cousin and her husband.